The PGA Tour makes its way to Texas this week for the first of four Tour events in the Lone Star State this year, as the WGC-Dell Technologies Match Play gets underway at Austin Country Club. Once again, Dustin Johnson and Rory McIlroy are the odds-on favorites to win. Johnson and McIlroy both enter this week’s event with 10/1 odds to win. Johnson comes into the WGC-Dell Match Play following a T6 performance at the Valspar Championship. DJ’s last win came in February at the WGC-Mexico Championship, and he’s racked up six top-ten finishes in his last seven starts. The 34-year-old came out on top at the 2017 WGC-Dell Technologies Match Play. As for McIlroy, his last appearance and win on Tour came two weeks ago at the Players Championship. McIlroy was the 2015 champion at the WGC Match Play. The third-highest odds this week belong to Justin Thomas at 14/1, who posted a T35 performance at TPC Sawgrass earlier this month. His most recent Tour win came last summer at the Bridgestone Invitational. Jon Rahm enters with the fourth-highest odds at 18/1 after his T6 performance at the Copperhead Course this past week. His last win came at the Hero World Challenge this past December. Jason Day, Bryson DeChambeau, Tommy Fleetwood, Brooks Koepka, and Justin Rose are all slated with 20/1 odds to win at Austin Country Club. Day, who hasn’t won on Tour since last May’s Wells Fargo Championship, missed the cut at the Valspar. But he’s won the Match Play event twice in his career in 2014 and 2016. DeChambeau’s most recent win on the Tour came this past November at the Shriners Hospitals for Children Open, and his last appearance resulted in a T20 finish at the Players. Fleetwood, who has yet to win on the PGA Tour, finished tied for fifth at TPC Sawgrass earlier this month. Koepka finished T56 at the Players, and his last Tour win came at the CJ Cup this past October. Meanwhile, Rose took eighth place in Ponte Vedra Beach after winning the Farmers Insurance Open in January. Last but not least, Tiger Woods comes into the Match Play with 25/1 odds to win alongside Paul Casey and Francesco Molinari. Woods, who has won the event a record three times in his career, finished T30 in his last appearance on Tour at the Players. He’s still looking for his first win since the Tour Championship last September. Casey comes into Austin after having won his second straight Valspar Championship, and he’s been a runner up twice in his career at the Match Play. As for Molinari, he took 56th place at the Players in his last appearance on Tour following his win at the Arnold Palmer Invitational earlier this month. 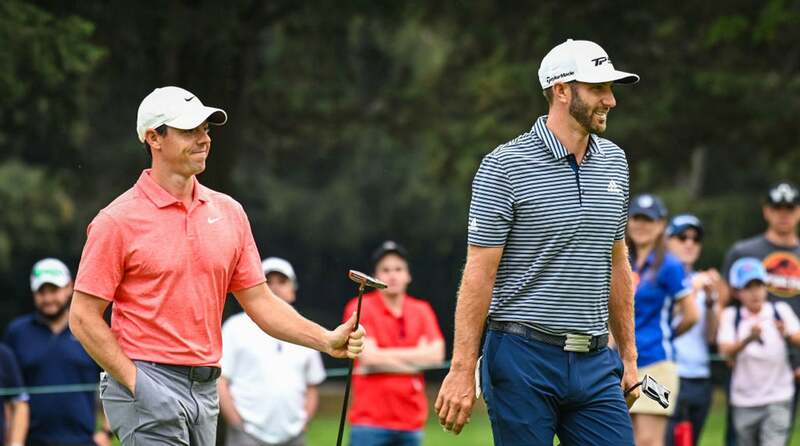 You can see a full list of betting odds for the WGC-Dell Technologies Match Play below, via golfodds.com. Dustin Johnson and Rory McIlroy are the favorites to win at the WGC-Dell Technologies Match Play.